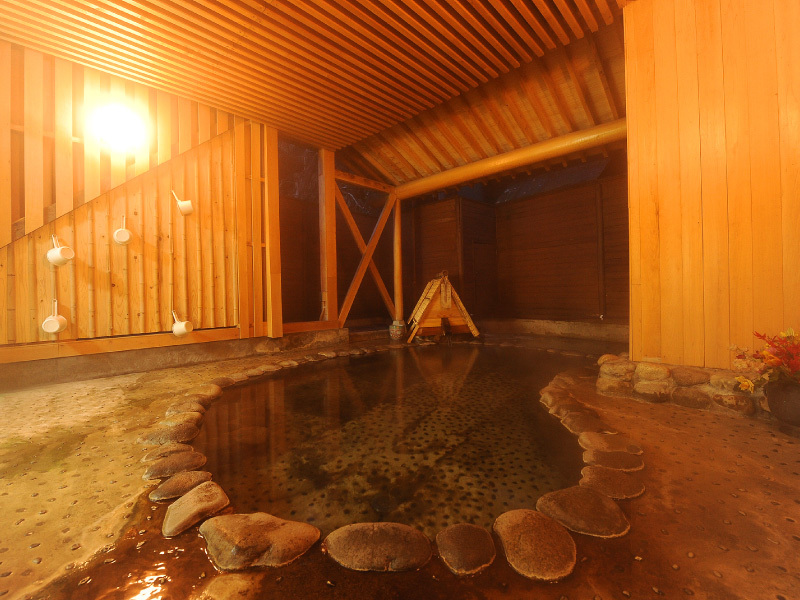 Matsudaya Ryokan | Hanamaki Hot Spring Village in Hanamaki City of Iwate Prefecture Dai Hot Springs Baths for private use available | If you stay in Hanamaki Hot Springs, please choose Matsudaya Ryokan, a Japanese inn for hot spring cure. 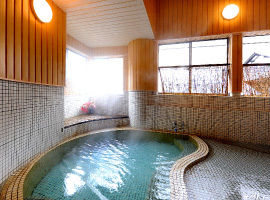 We are a Japanese style inn in Hanamaki, a famous hot spring resort in Japan. 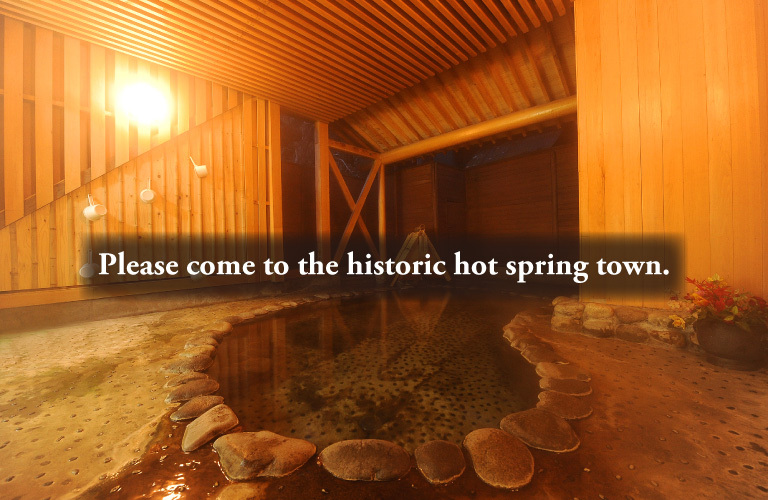 It is located in a historic old hot spring town developed about 400 years ago. You can spend time in a quiet surrounding resort. Since it is in a natural park, you can fully enjoy the nature in mountains by trekking, etc. Only 15 minutes from the nearest expressway exit by car. Free shuttle bus service is available from the nearest station of Shinkansen. 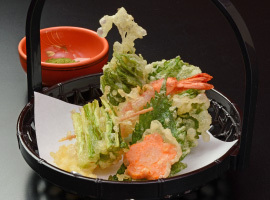 We serve Japanese creative cuisine used local ingredients. The menu changes seasonally. Elimination diet is available. 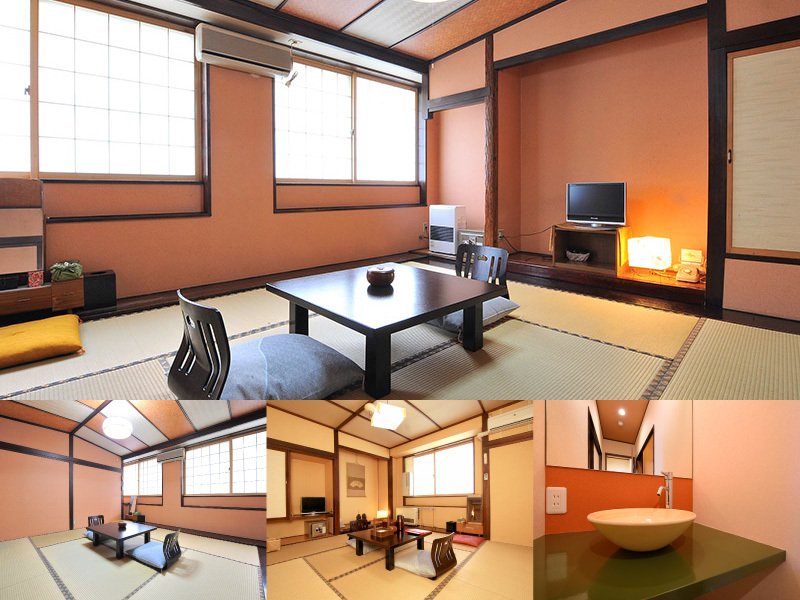 You can choose from various types of rooms such as suites with hot spring bath, Japanese rooms, Japanese-Western rooms, etc. 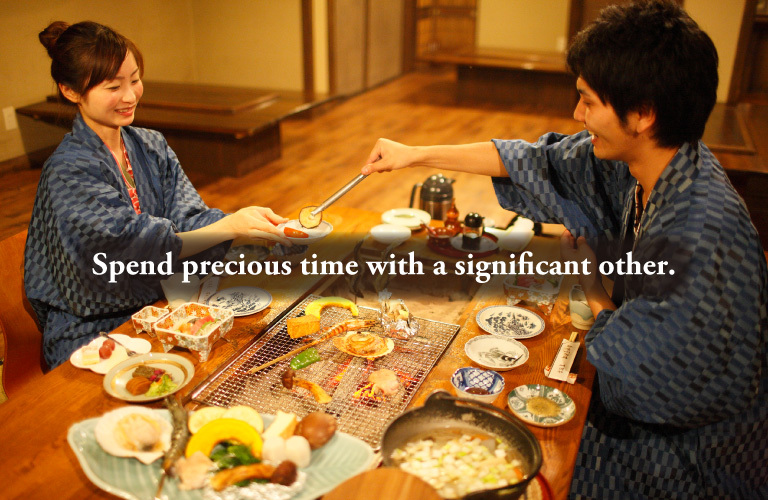 Please spend precious time with a significant other to create a memorable anniversary. On weekdays, you can privately use the 3 baths for free. 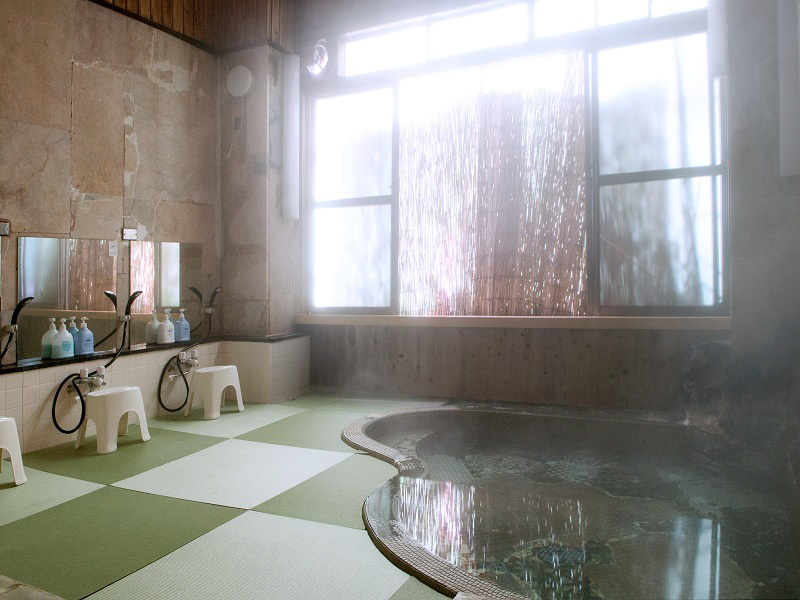 Please enjoy taking unique baths, such as the one with the floor filled with tatami mats to avoid slipping, etc. with a significant other. 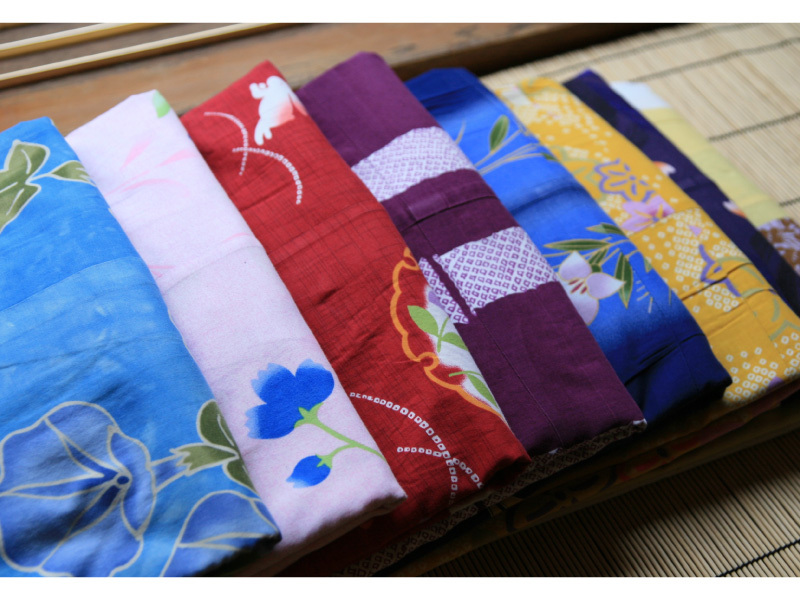 Yukata with Your Choice is free service to rent a yukata from various colors. Also, there is free incense service. You can choose your favorite aroma. 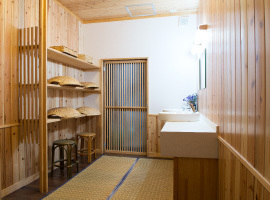 Please receive these services during your stay in Matsudaya Ryokan. 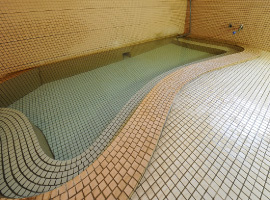 Dai Onsen is historical hot springs which have long been known as the hot spring source and was listed as “Dai no Yu in Nanbu” in the hot spring ranking of Edo period. It is a hot spring resort with an exotic atmosphere where there are a dozen of inns standing side by side. 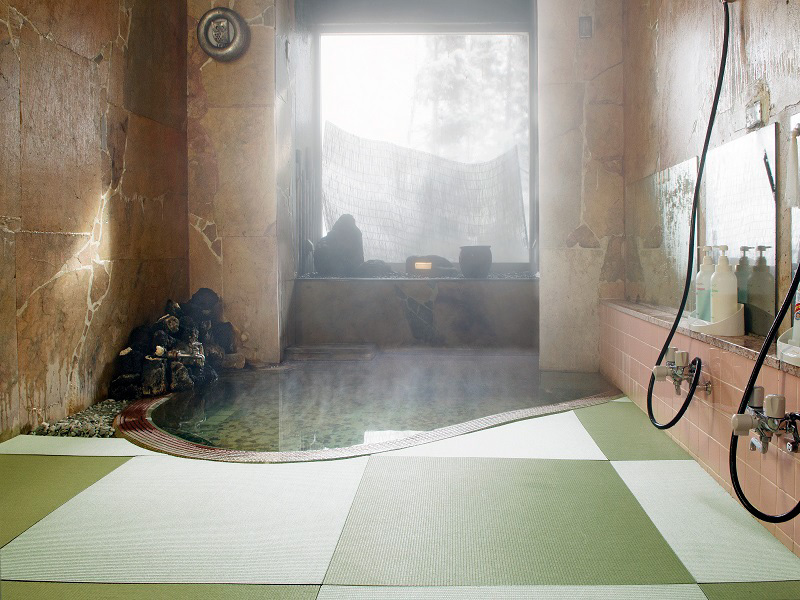 You can also enjoy day bathing in different types of baths of each inn. 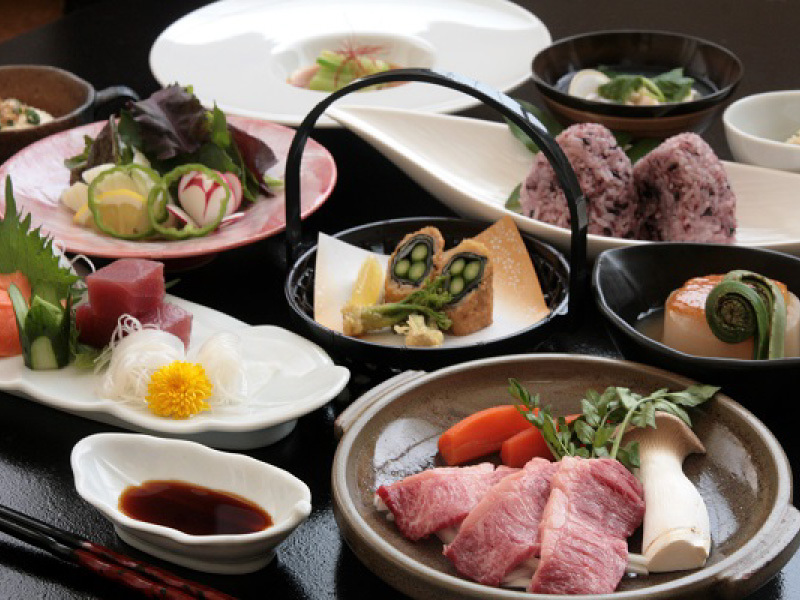 Dinner is a homemade creative Japanese course. 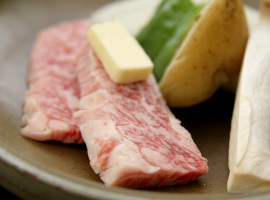 Main dish is the steak grilled on a ceramic board using Iwate wagyu, a Japanese brand beef. The ceramic board makes the quality beef softer and more delicious. 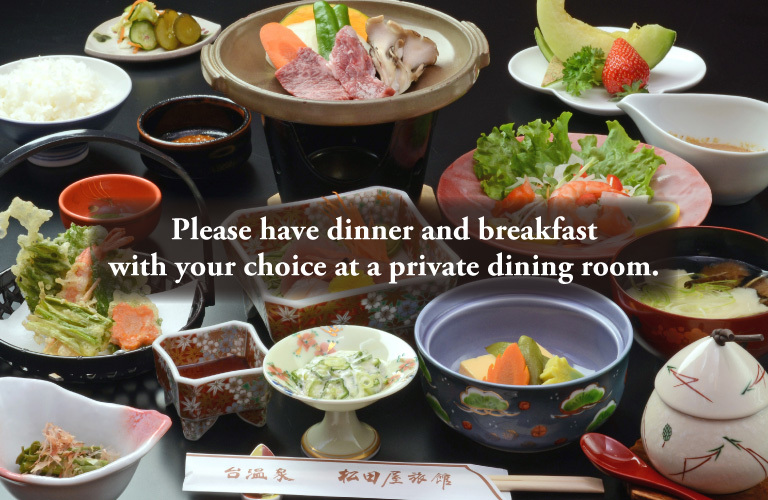 The only private dining rooms in Dai Onsen area. 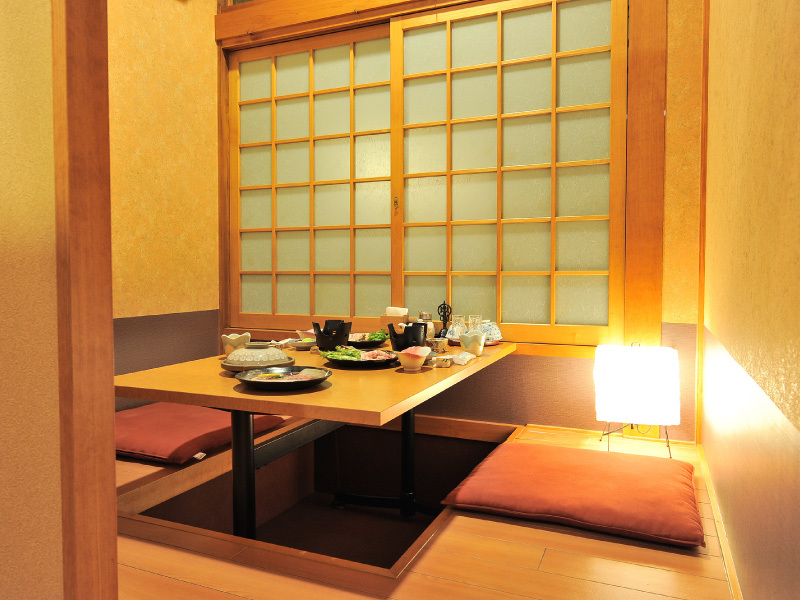 Since it is separated into private rooms, you can enjoy delicious meals at horigotatsu style seats (dug down floor) in a relaxed manner. 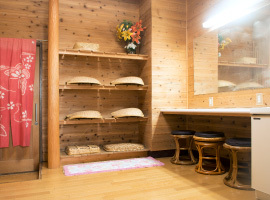 Special room Okariya with bath and toilet. 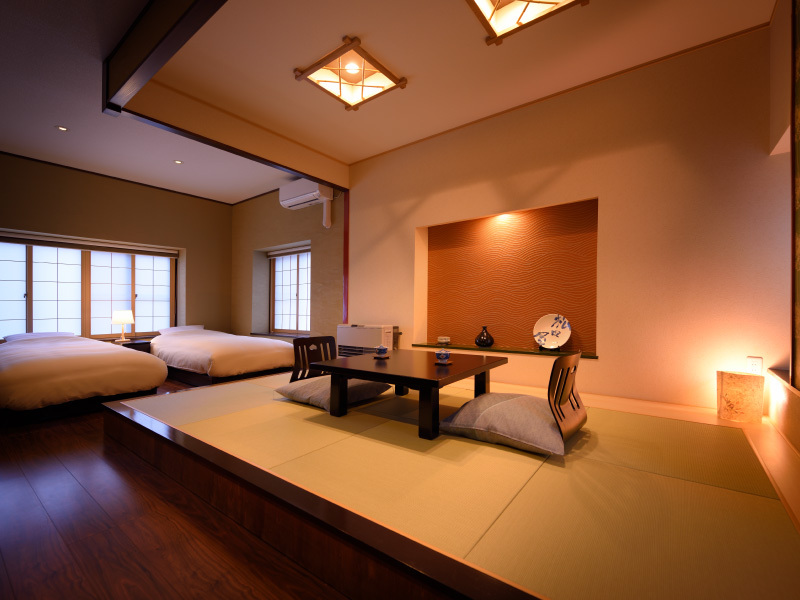 Japanese-Western room with hot spring baths. There are 2 types of baths, one is a cypress bath and another is a ceramic bath. They are prepared for a couple to relax. The most popular room for repeaters. 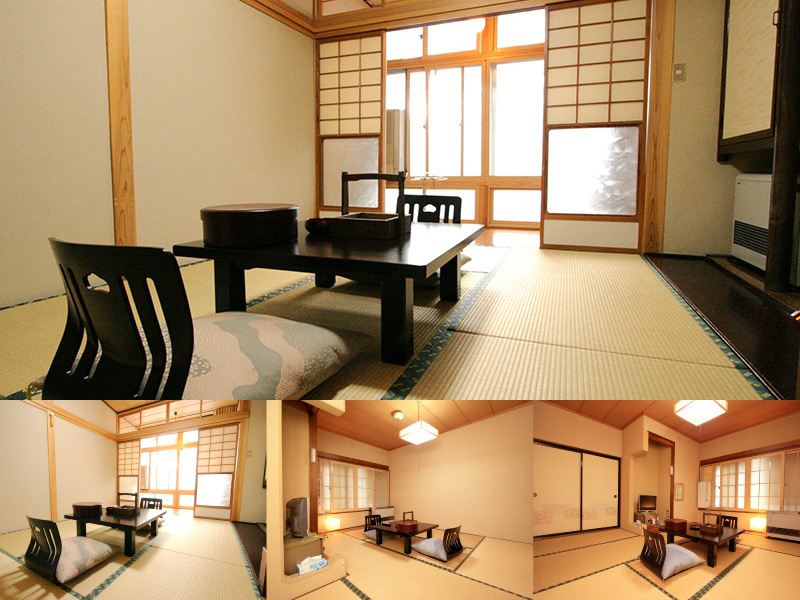 A pure Japanese style design and the reasonable rate of more or less 10,000Yen/person are the reasons to be selected. 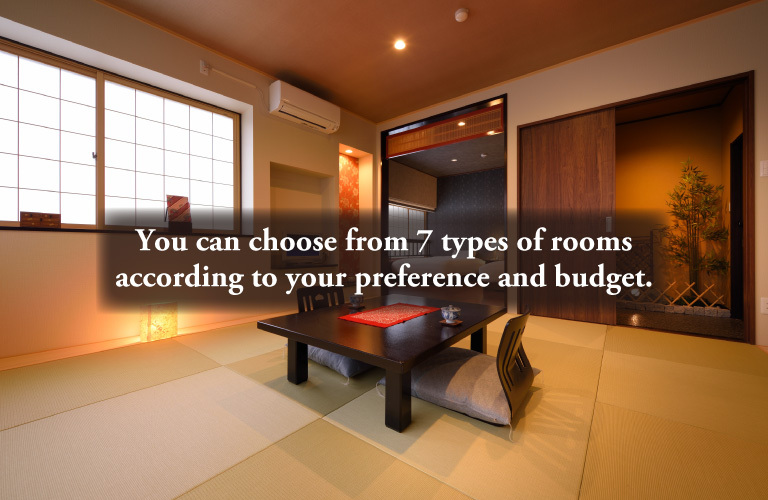 Popular room type because the basic services are the same as those of other rooms but lower rate. 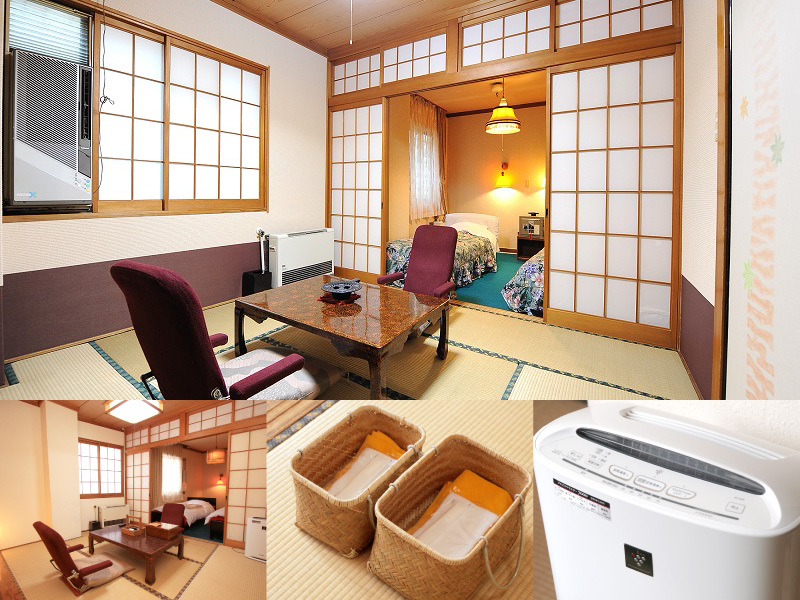 Available only 2 rooms with Japanese-Western type. 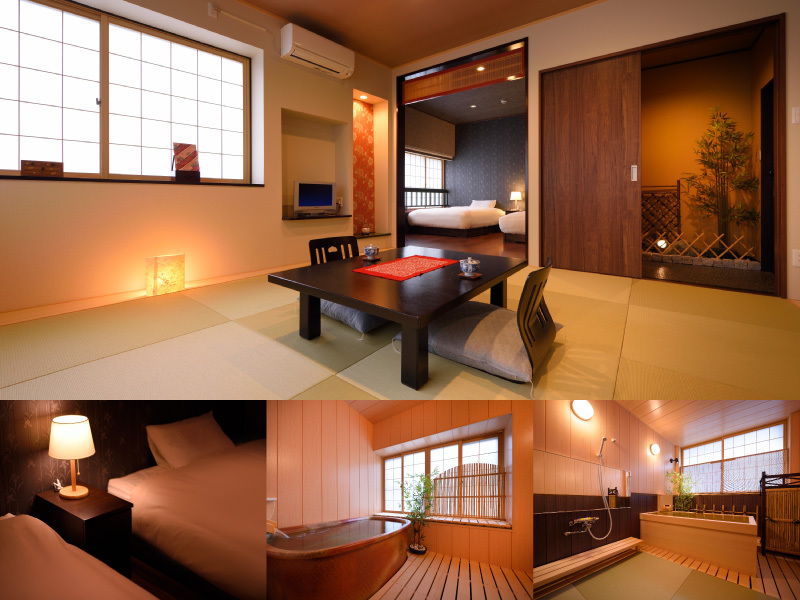 Since it consists of Japanese 6 tatami mat room and the same space of Western room with 2 beds, you can take a rest in beds soon after check-in. 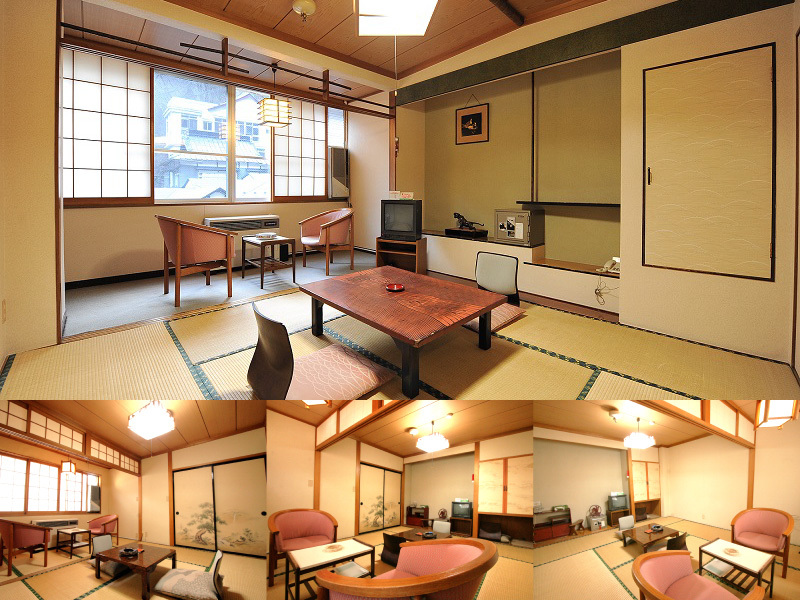 This is a room applicable for various plans with reasonable rates. 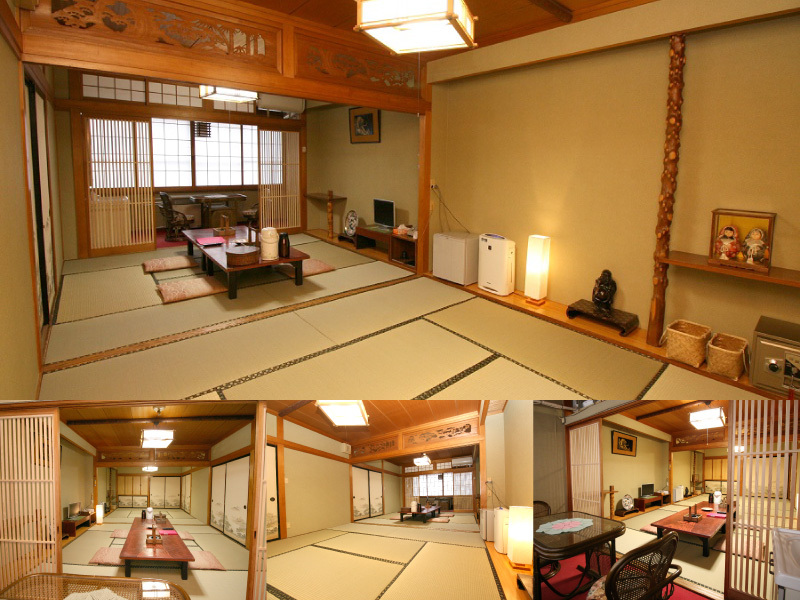 A suite of 8 tatami mat rooms.Suitable for a small group such as family. 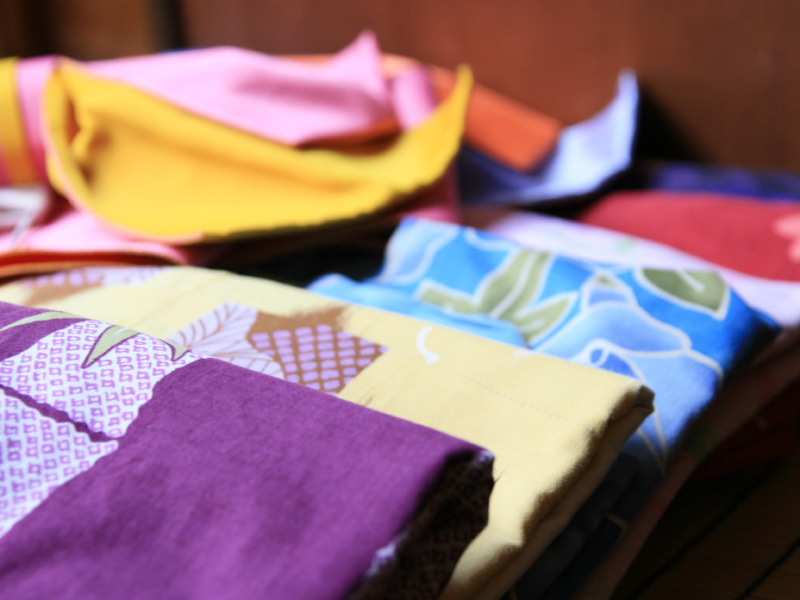 More than 20 kinds of colored yukata. We lend a yukata to every female guest for free. The temples where more than 3,000 of National Treasures and Important Cultural Properties including Konjikido (Golden Hall) are placed. Approximately 40 minutes from here by car. Sightseeing spot with leisure facilities including a golf course and a ski resort on the land where forests of white birches and beeches spread. Ski resort opens in December. 90 minutes from here by car. This museum was built in 1986 in commemoration of the one-hundredth year since Ishikawa Takuboku’s birth. Notebooks written by Takuboku, photos, clothes, and other relevant goods and documents are exhibited there. Approximately 60 minutes from here by car. You can experience milking cows by hand, making butter, etc. there. There is also Koiwai Farm Museum where the history of Koiwai Farm and agricultural machinery & equipment are on display. You can also enjoy famous Genghis Khan Mutton Barbecue. Approximately 40 minutes from here by car. Mt. Hayachinesan with the height of 1,917m above sea level is the highest mountain in the Kitakami Mountains. There are 3 climbing routes. Kawaranobo Course and Odagoe Course in Ohasama Town are the popular routes. Even beginners can reach to the mountain top in 3 hours. The first day of mountain climbing season is the second Sunday in June. Approximately 100 minutes from here by car. Takamura Kotaro lived this cottage for 7 years. It still remains as it was. 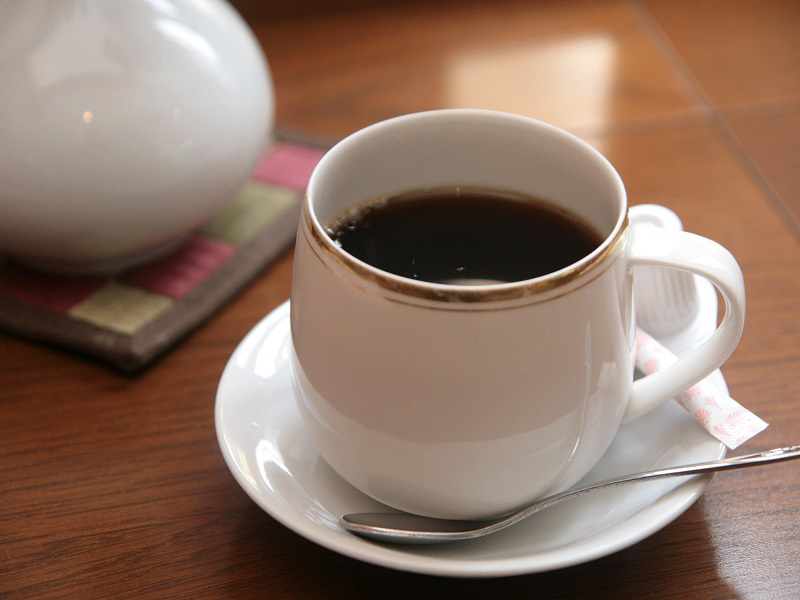 There is Takamura Kotaro Museum next to Takamura Sanso. Entrance fee: Adult 500Yen. Approximately 40 minutes from here by car. Is there a free shuttle bus service? Yes, if you are a group of 7 people or more and within 1 hour distance, you can use our courtesy bus with free of charge. Is there any free parking space? Yes. There is a free parking space with the capacity of 10 cars nearby. If the parking space is full, there is another free parking space in a minute distance by car. If we add dinner and/or breakfast, how much is the additional charge? 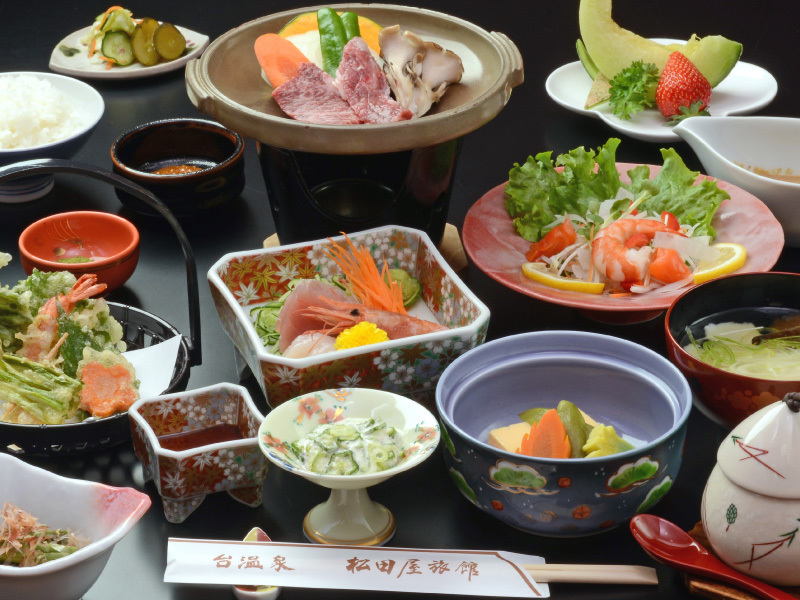 Additional charges are 3,240Yen/person for dinner and 1,080Yen/person for breakfast. Please inform us by 2 days before arrival. Is there any staff who can speak any other language than Japanese? No, we do not have any staff who can speak any other language than Japanese. No, we don’t. Please use the stairs. Is there any cancellation fee charged? Copyright© 2016 MatsudayaRyokan All Rights Reserved.